100% authentic from The Ordinary. Featuring a high concentration of alpha lipoic acid – a highly potent antioxidant – this supercharged anti-ageing serum gently exfoliates to improve the tone and texture of skin. Targeting fine lines and wrinkles, as well as scars, pigmentation and dullness, the water-free formula boosts radiance for a softer, smoother complexion. 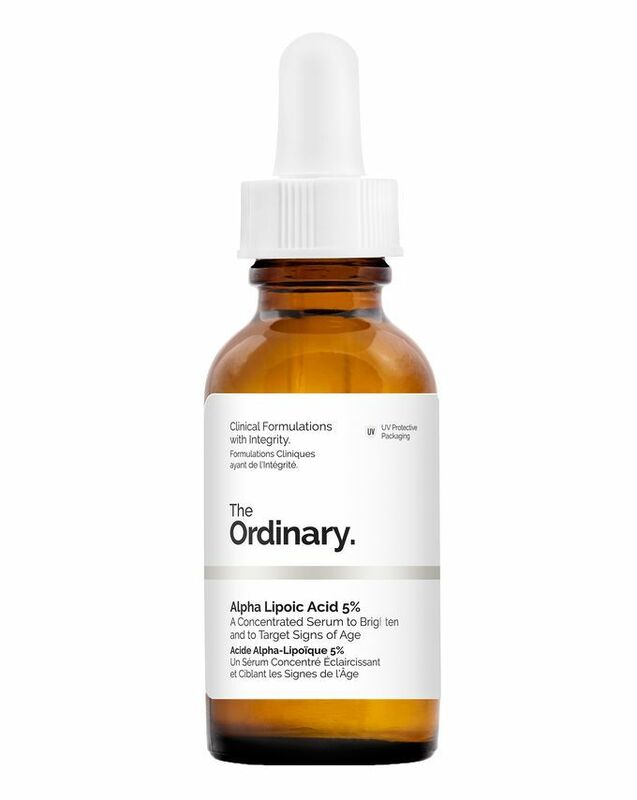 A potent treatment for skin showing signs of ageing, The Ordinary’s Alpha Lipoic Acid 5% features a high concentration of high-purity alpha lipoic acid, which is a powerful antioxidant that can restore and renew skin when applied topically. Working to visibly improve skin’s tone and texture, this supercharged serum is an effective tool to minimise the appearance of scars, pigmentation and dullness, as well as fine lines and wrinkles. Recommended for night-time use, the water-free serum can be applied sparingly for 2-3 nights a week for a softer, smoother and more radiant complexion. Apply 2-3 drops over the entire face a maximum of 2-3 times per week. This treatment is highly concentrated and daily use is not recommended. Do not use on irritated or sensitive skin. Can be diluted with most oils per application to reduce strength. 1. Alpha Lipoic Acid is highly sensitive to sunlight. Please do not expose to direct sunlight. Application to face is recommended at night-time only. 2. Alpha Lipoic Acid is less stable in formulations that contain water and use of formulations of ALA containing water is highly discouraged. This formulation is water-free and may feel slightly &apos;oily&apos; for a few seconds after application. 3. This formulation contains an extremely high concentration of ALA. Daily use is not recommended since such a high frequency of use can cause skin sensitivity. Please follow suggested use frequency.